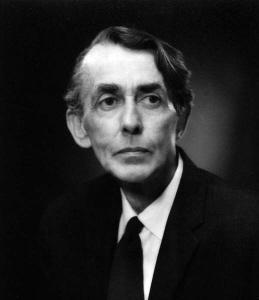 (1991) Eugenics, social medicine and the career of Richard Titmuss in Britain 1935-50. British Journal of Sociology 42 (2): 165-194. (1996) Man and Wife: Richard and Kay Titmuss, my parents' early years. London: HarperCollins. (1997) Making medicine social: the case of two dogs with bent legs. In: Porter D (ed.) Social Medicine and Medical Sociology in the Twentieth century. Amsterdam: Rodopi, Wellcome Institute Seminars on the History of Medicine, pp. 81-96. Alcock P, Glennerster H, Oakley A, Sinfield A (eds) (2001) Welfare and Wellbeing: Richard Titmuss's contribution to social policy. Bristol: Policy Press. (2004) Oakley A, Barker J (eds) Private Complaints and Public Health: Richard Titmuss on the National Health Service. Bristol: Policy Press. (2011) Blood: gift or commodity? Open Democracy website. (2014) Oakley A. Father and Daughter: Patriarchy, Gender and Social Science. Bristol: Policy Press. See also:- The London School of Economics website. 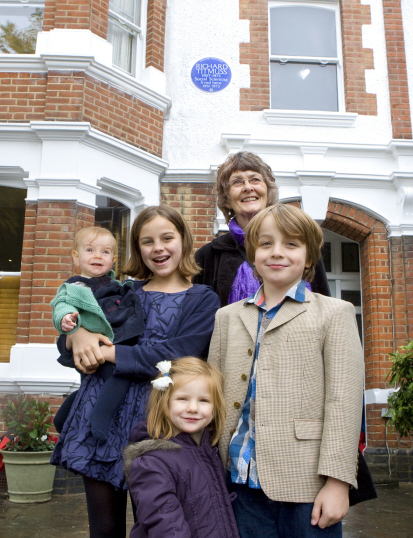 Ann Oakley with four of her grandchildren - Sylvie, Tabitha, Adrienne and Reuben - at the Richard Titmuss blue plaque unveiling.